Desk Report: Bangladesh Cricket Board heaved a sigh of relief as opening batsman Tamim Iqbal and pace bowler Rubel Hossain finally secured the visa of United Arab Emirates, which paved the way for their participation in the forthcoming Asia Cup from the start, reports New Age. 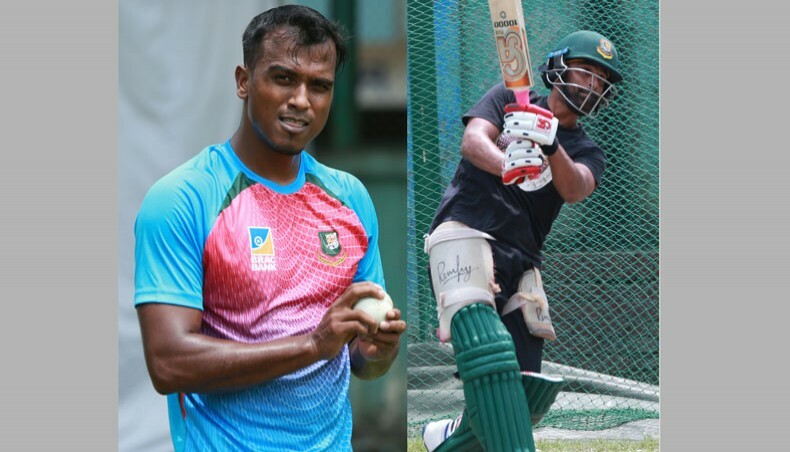 The participation of Tamim and Rubel in Saturday’s opening match against Sri Lanka was thrown into doubt after the organisers of the event, the Asian Cricket Council, was unable to arrange their visa for timely. The BCB officials appeared hapless during the entire saga as the matter was not in their hands completely. Tamim and Rubel, however, did not waste their time completely waiting for the mercy of UAE visa officials. Both of them trained individually at the Sher-e-Bangla National Stadium to keep them ready for the tournament, which would run from September 15 to 28 in UAE.